Happy Wednesday, again. I'll probably be drinking a whole french-press pot a to myself before 8AM today. Thought I'd like to share my latest half-pound of heaven. Throughout this blog I have probably posted a gazillion of coffee shops and my caffeine addiction is well known. We are very lucky here in the Bay Area to have access to wonderful local coffee companies and I can't say that enough. I found out about De La Paz by randomly walking into a local market about 2 years ago. 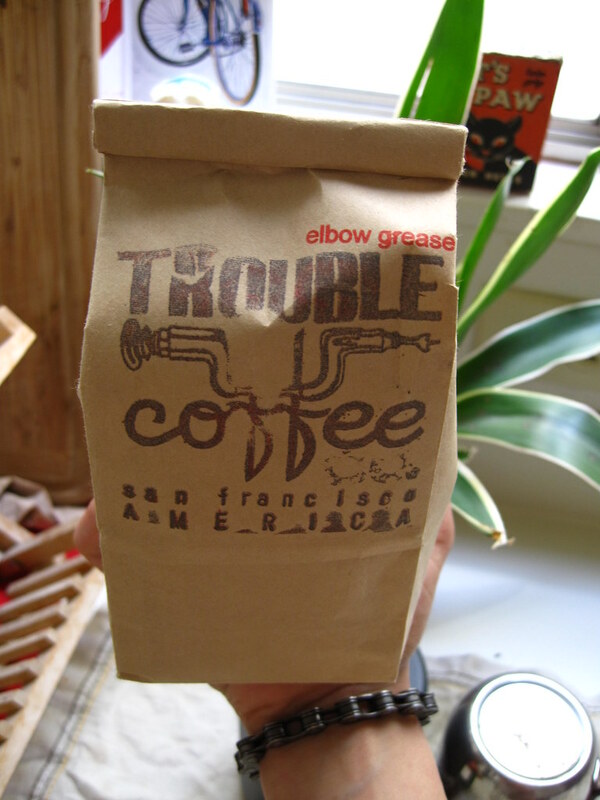 It can now be found in many local coffee shops, including (above) Trouble's Elbow Grease. Yum. 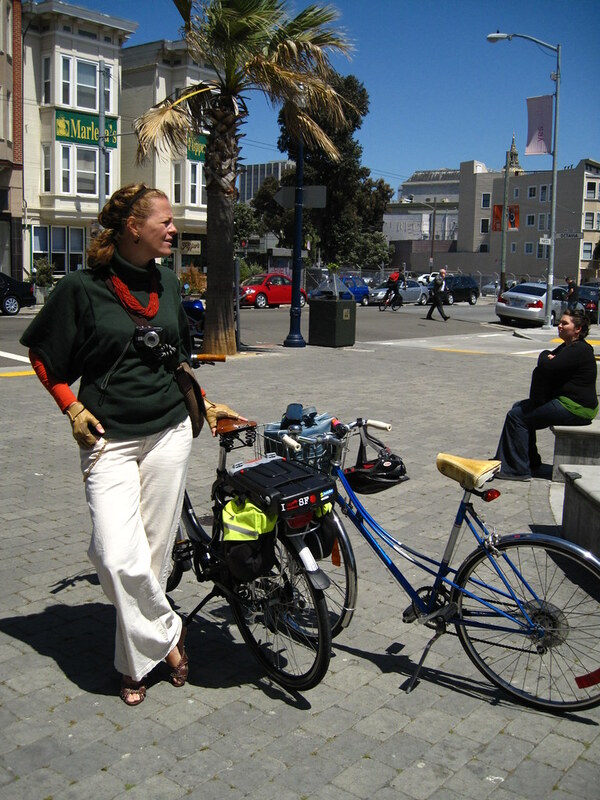 Bike to work day is coming up in a ouple of weeks. 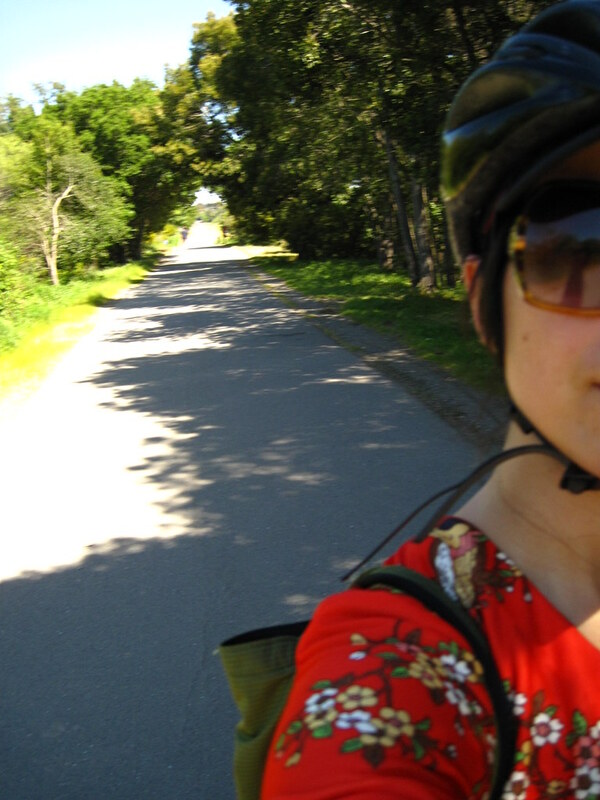 I bike everyday, but I'm always excited to hear people's stories or experiences weather is their first, or 15th bike to work day. 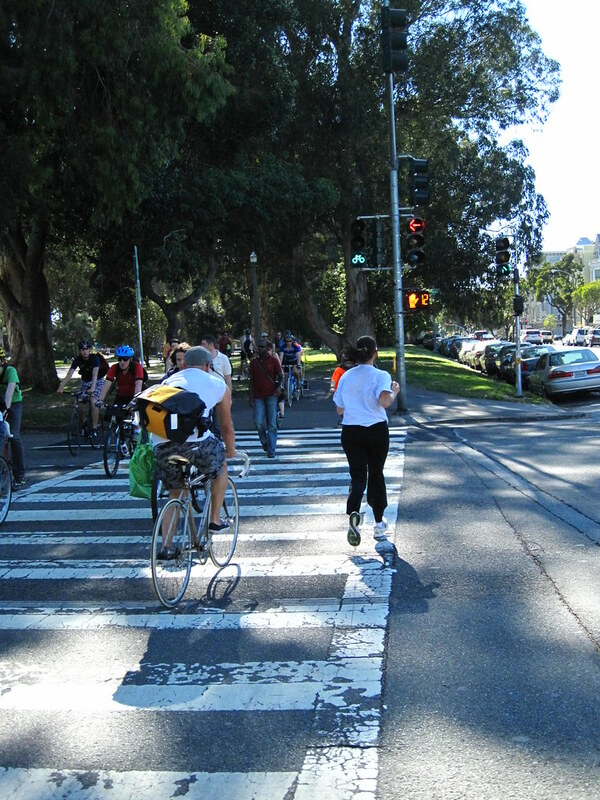 You can check out the SF Bike Coalition's resources, but wanted to give heads up for those that are starting to explore a better route from whichever neighborhood/district you may be, happening the following Thursdays. Should be fun :D Check it out!! Simple and very fashionable. Aren't those trousers great? ciao. adios /'Til next time! Cougar run - Augies BDAY - cyclecide - and about 50/60 bikes- to see performances by The Brakes from Canada and our very own local, The Derailleurs, which got cut short by some kind of park power rangers (literally, they'd turn the power out). Ended at Bender's for a beer. Call it a Wednesday night. I dont think I can, but the cool cats over at Swobo are awesome at avoiding the bummer life. They've gotten a dose from Bikes And The City - witch's bird's eye view edition. Check it out! Image links to HTATBL ♥Thanks Stevil!! Last week, I received a lovely surprise of goodies from the fashionable hands of Mary Jo from Trust your Style. She has been a reader and follower of this little blog since the early days! 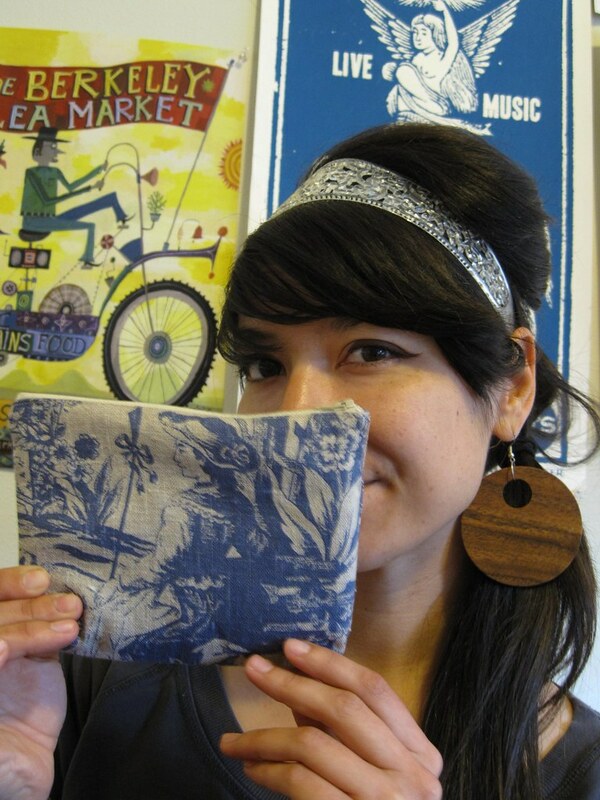 This cute little bag holds a few of my everyday things that tend to hide at the bottom of my purse. This will be a nice option for going without one sometimes. The linen or cotton material feel very nice and I love the illustration. Pretty cool. ♥ ♥ Thanks Mary Jo!! What would I do without my allen tool (phillips screw included) and lipstick?! I was very happy to run into my homeboy Jose. 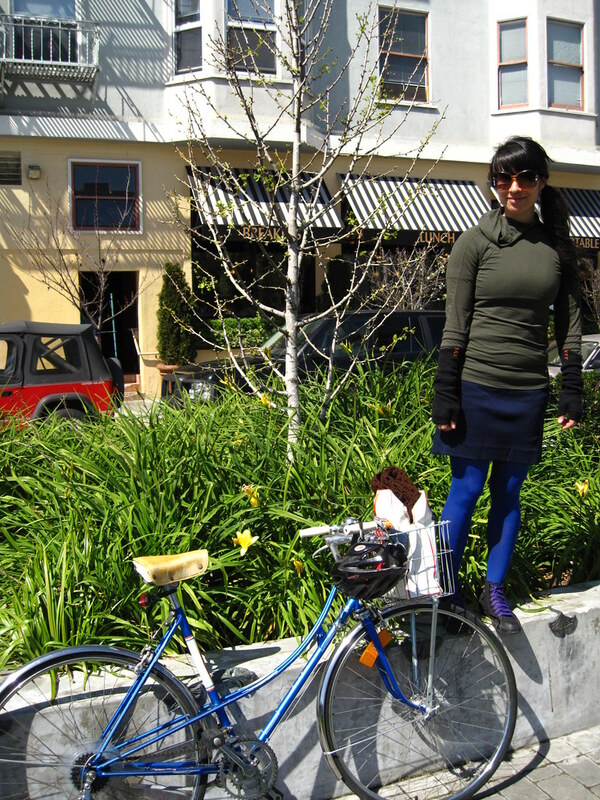 (we are overdue for a bici coffee ride, eh!?) He handed me this at the end of the night. Maybe it's because I'm riding big hills with big heels? haa just kidding. Sweet. I like redish-pink and blue together. 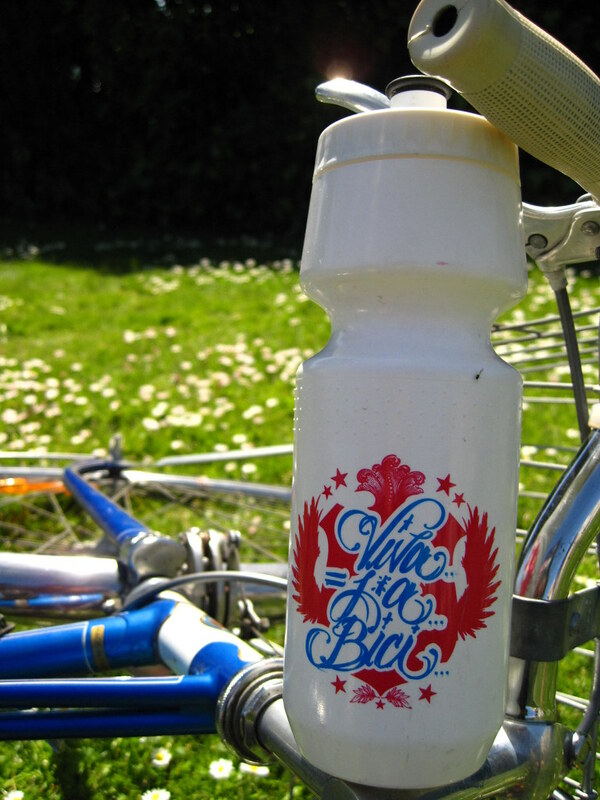 You can check out his thing over at Viva La Bici. And this is from a sweet man in a shoe repair place in the Sunset. We started talking about bikes, cats and shoes. He had this super old school poster I fell in love with but would never dare to ask for it, but he handed me this as a souvenir. He said he always tosses them. What a gem. Looks like my ♥velcro. 1. Here is a hat accessory that seems pretty cool. 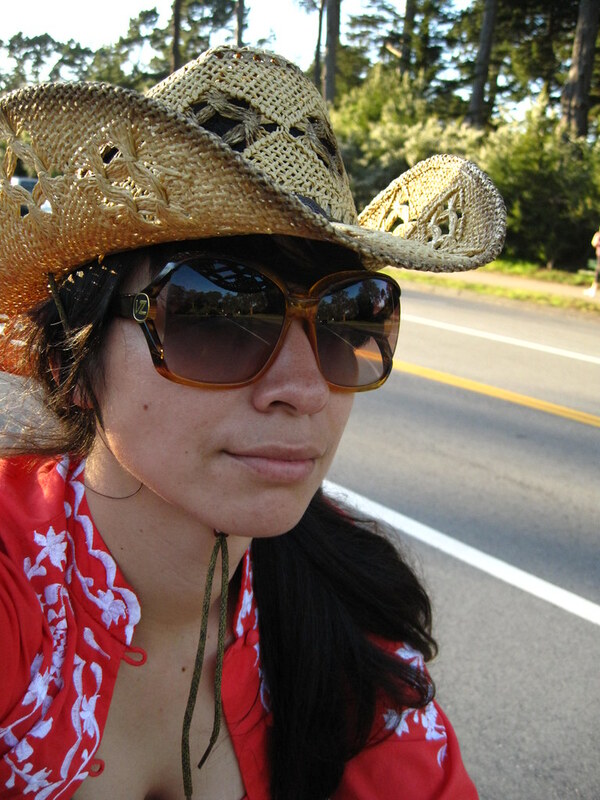 I'm a huge advocate of sun-protection but have learned to embrace my tanned nose from the big sunglasses. Oh well. 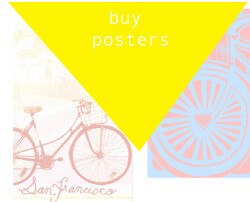 I still prefer Riding-Pretty's super cute covers, if I was to choose one (Eventually, no pressure!! ), but thought I'd share this by fuseprocject. Seems to be a well designed piece. What do you think? 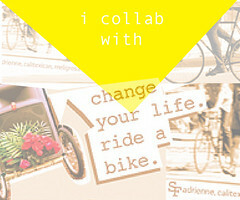 [From fuseproject.com] City of New York NYC Helmet: We were commissioned by the City of New York to create a product and brand that appeals to the new generation of bikers, would provide safety both in a context of a free bike program, and of a policy to promote cycling in the City. many hotels are now offering bikes to guests. It's a great way to see a new city and be green too. Mother earth salutes you! //Presidio - Crissy Field. Have you seen her dressed in purple? Oh everywhere // Valencia street. 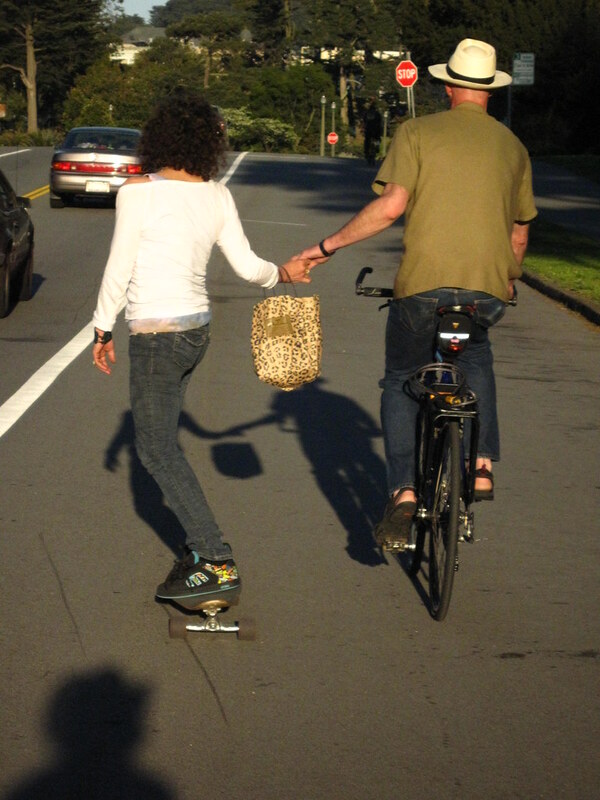 Seeing people from the bike lane, their energy, the way different people ride, plus the weather, just puts a huge smile in your face. Having your senses at full exposure while riding a bike is just priceless. Ride tunes/ hard to see from here but he was holding a drink. weather has been blazin hot. 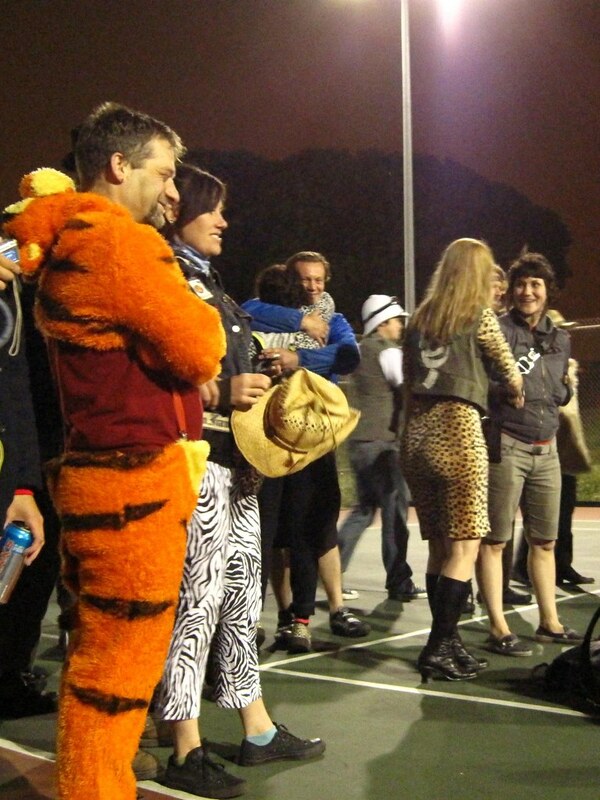 The cougar run: From Cyclecide \Starts at El Rio at 7PM - ends at Bender's at 9PM. 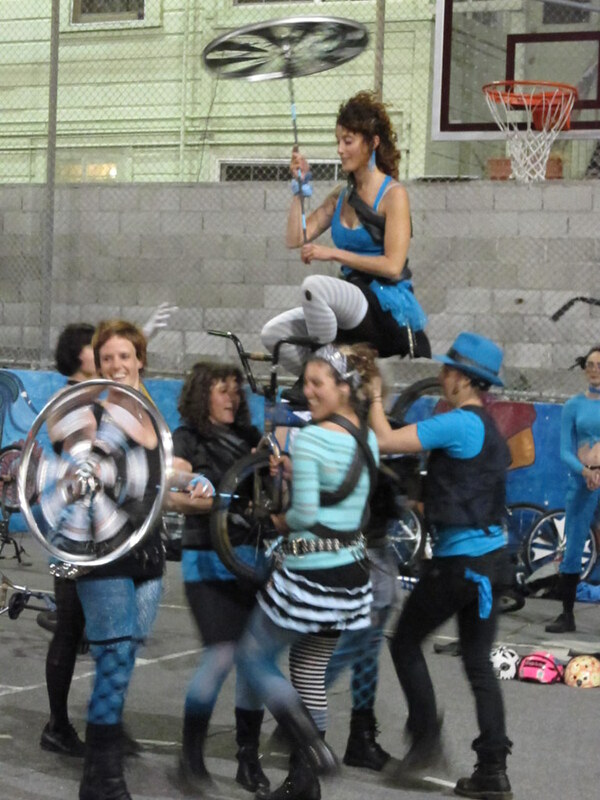 Augi's BDay bike ride and show. 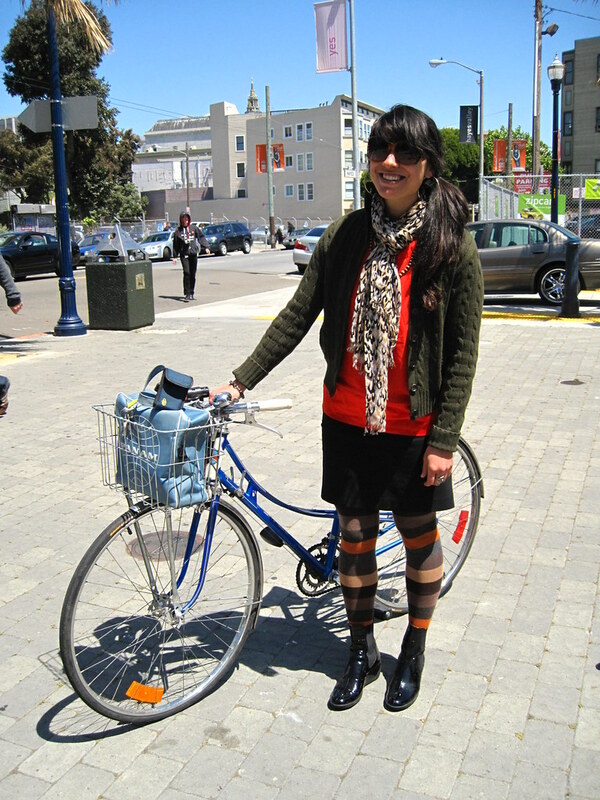 SFSU Bike to School Day: Bike to School Day is organized by the Bicycle Advocacy Group at SFSU and ECO Students. All events will take place on the quad. 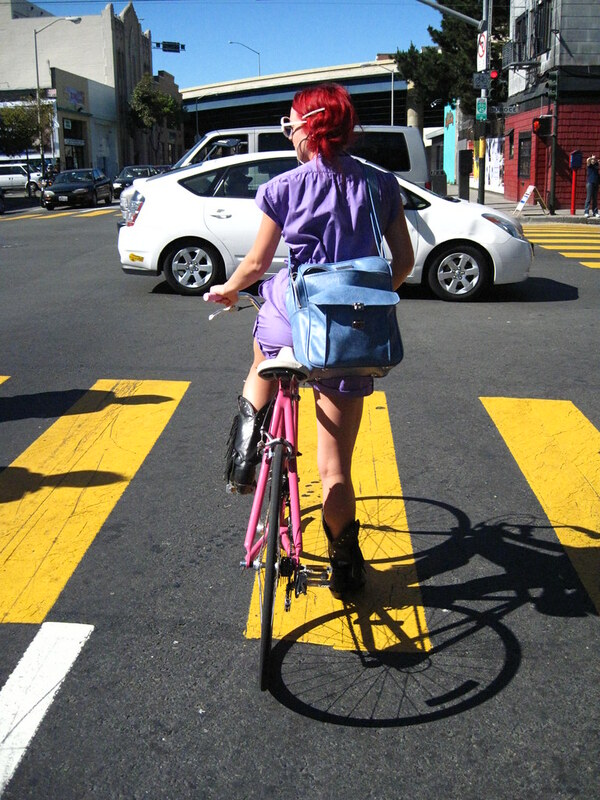 I received this lovely email from a fellow rider (and curvy street enthusiast) in the city. 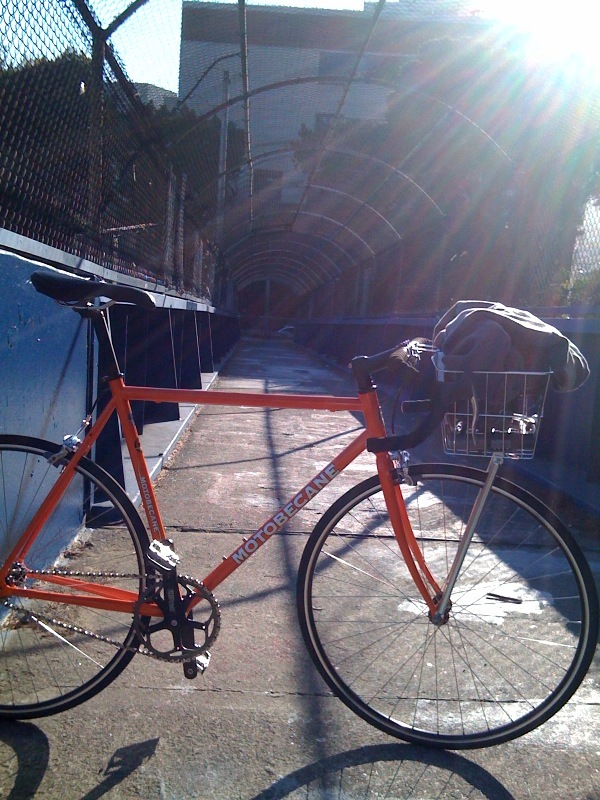 Check out his citrus Motobecane ride below, what a nice orange bike! Thanks so much for sharing this with us. Ride on Rob!! Wanted to share my photo from today's ride. Up to the to of Vermont and 20th and then down. Mounts: Road, Mountain, tandem or single speed. I like it all. 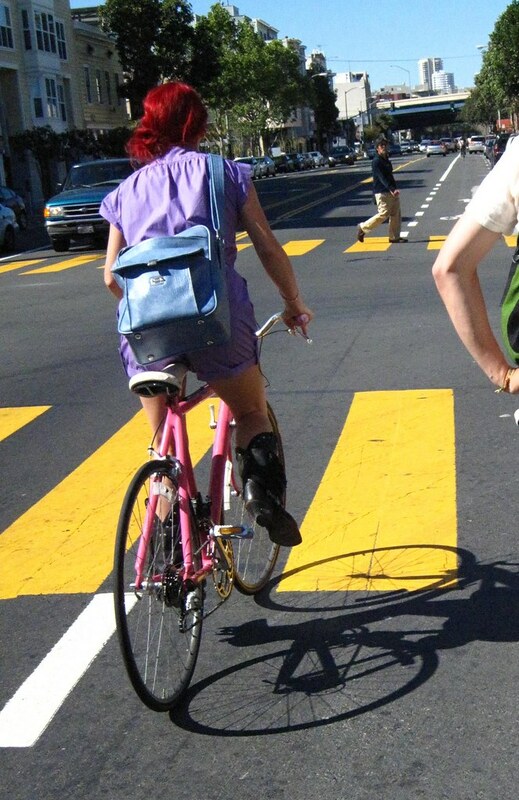 Todays ride was just a few miles after work, I just wanted to take the single speed down SF's curviest street: Vermont. Favorite ride - any ride that manages to work in China Basin/Terry A Fransisco St. 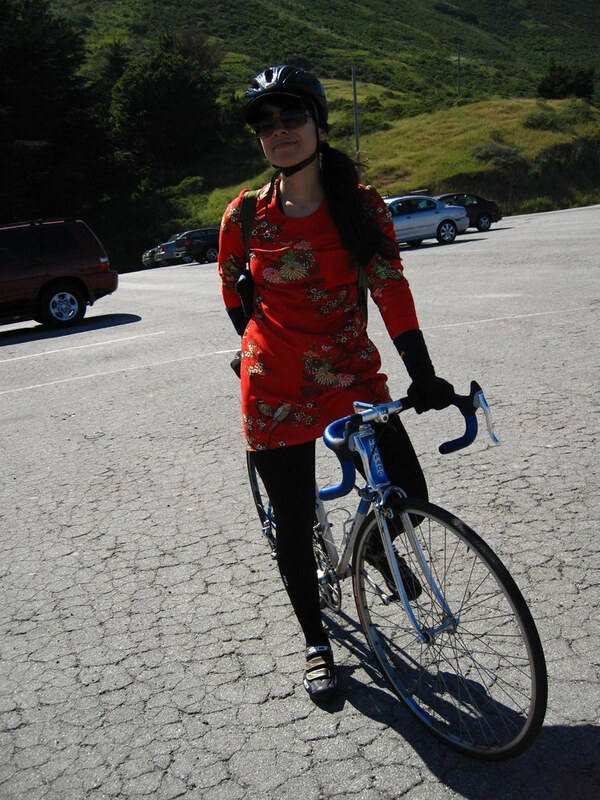 Favorite Coffee - Blue Bottle at Velo Rouge + Tandem + Wife + on the way into the headlands P.S. Your Astra Love is the real deal. Modern Motobecanes are just an internet discount brand (http://en.wikipedia.org/wiki/Motobecane_USA). Irregardless I do love the Orange color. 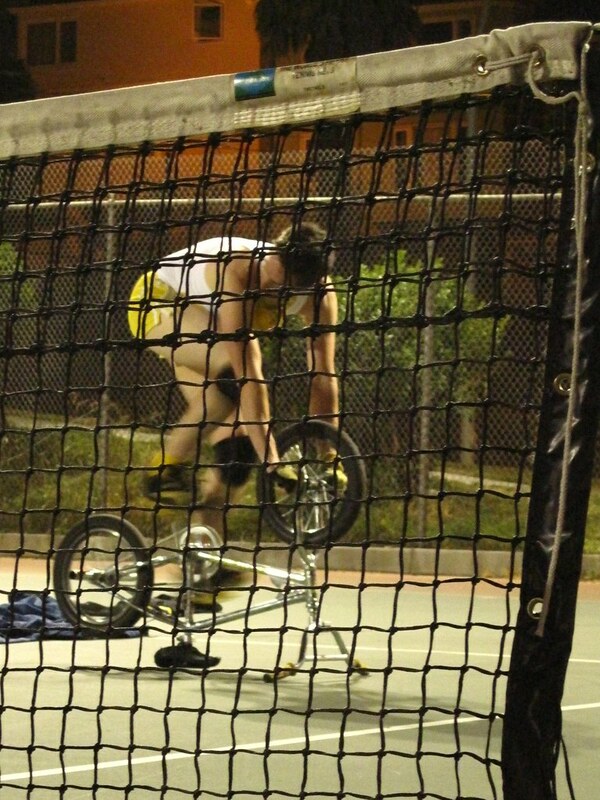 And here is some photos. 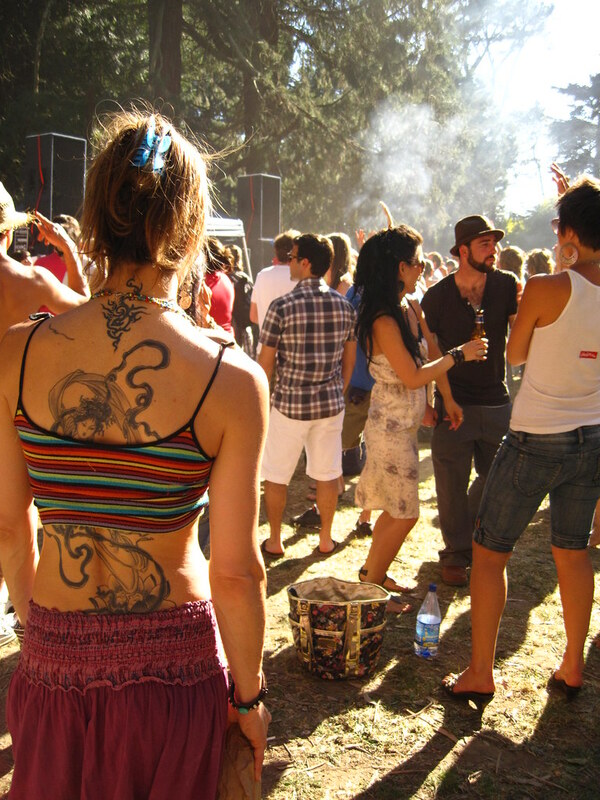 Dancing, DJ, music, dancing, trees, dancing, food, dogs. Happy stuff. Enjoy! Snapped some pictures on my way there and back, since I was probably riding 2 miles per hour. The weather must have been in the 80s. This heatwave is very loco. 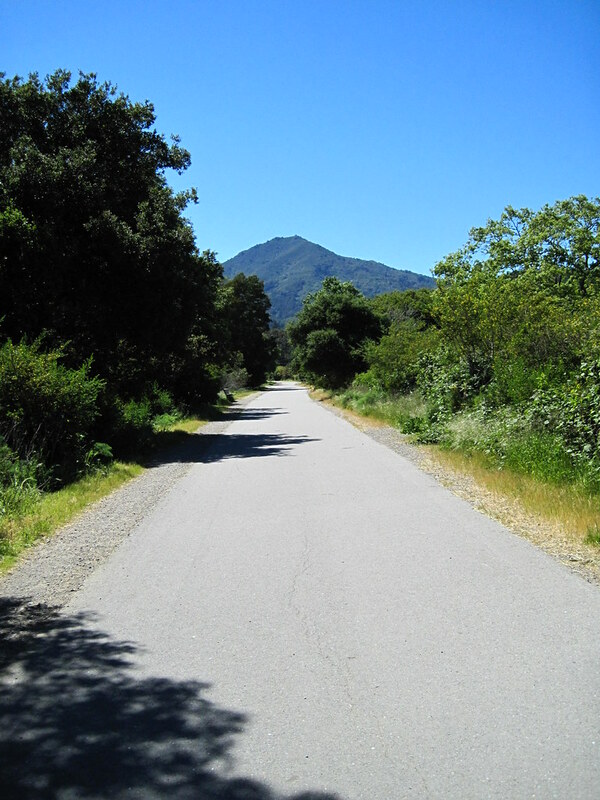 This Saturday morning Marin was calling. Rode for about 40-50 miles. Got the Smurfette to stretch her legs out and it is indeed, riding as smooth as butter. 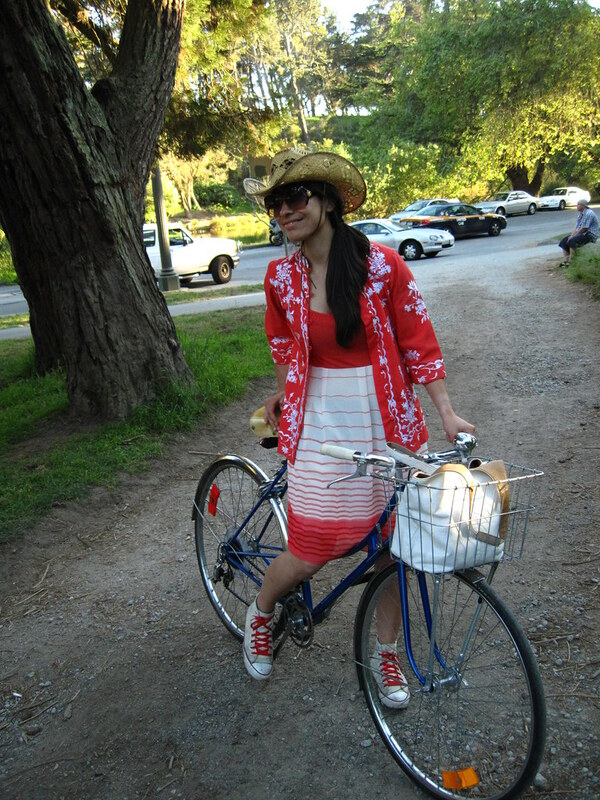 I've had this bicycle for a number of years and never felt confident about being able to roll around Marin quite easily. My Frenchie would do it, but gotta show love to both bikes. It is a magnet for old-timers that enjoy geeking out to its components and steel frame shmcuk. Sunshine, fog, coffee, deer. All included. © 2008-2015 Bikes and the City / by meligrosa. San Francisco, California.